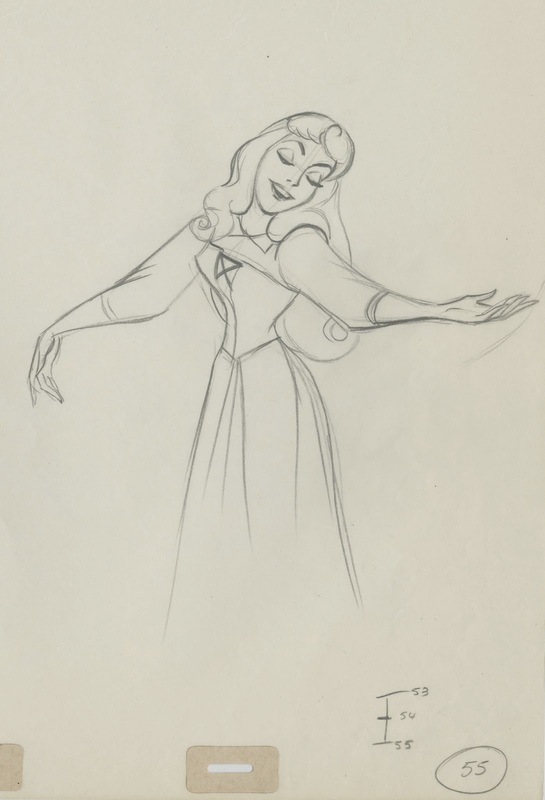 Another beautiful animation drawing by the amazing Marc Davis. This is Princess Aurora, as she tells the Three Fairies about someone she met in the forest. Marc's knowledge of anatomy as well as graphic design floors me. This level of draughtsmanship is rare, even at Disney. I love where Marc accents certain lines by drawing them darker and thicker. Like the underside of the hair resting on her left shoulder, or the line defining her left lower arm. Frank Thomas said that Marc's animation always looked best in pencil test form. Final inked cels would eliminate these lovely inconsistencies. What a great drawing to study for inspiration at the beginning of the week.